Do the homeless need a hand up or a handout? Why not both? Two men in different parts of the globe came across the same scene: They both saw a human being who was down and out. The afflicted men held signs that explained the particulars of their plight; they hoped a kind stranger would stop to offer them a reason for hope. The men who stopped to take notice of the homeless and unemployed men were themselves public officials—or, as those in the field like to view themselves, public servants. One was Mayor Richard Berry of Albuquerque, N.M., and the other was the prime minister of Australia, Malcolm Turnbull. What is noteworthy in these particular instances is how the men, people of means and influence, responded to a problem that afflicted other human beings. The prime minister, on his way to speak at an economic conference, stopped in front of a homeless man in Melbourne and put some money in his paper cup and wished him well. As reported in The New York Times (Aug. 19) Mr. Turnbull was in a no-win situation: He was damned for giving money and damned for giving so little (the Australian equivalent of $5) when he himself is supposed to be one of Australia’s richest men. When asked to comment about what he did, he simply responded that he felt sorry for the man and instinctively offered some money, something which many people would do in situations such as that. 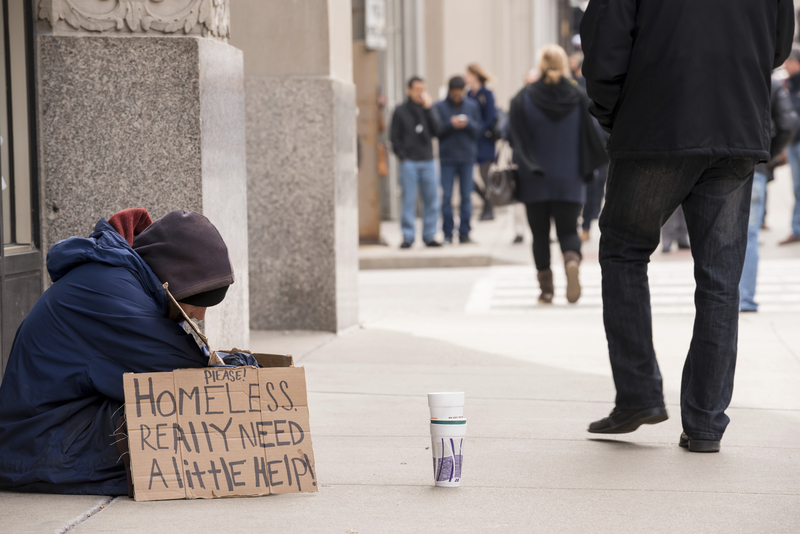 As for Mr. Berry, Albuquerque’s Republican mayor, his encounter with an unemployed panhandler at a city street corner prompted an entirely different reaction, something which people everywhere—whether public or private—ought to consider. Mr. Berry did not act immediately; he wanted to help the man on the street corner and at the same time, he noticed the conditions of that street corner the man stood in. Both needed attention and care. And as reported in The Washington Post (Aug. 11), he decided to take a different tack: He observed, he listened, and then he acted. He noticed the sign the man held: “Want a job. Anything helps.” That gave him the inspiration to create a program called “There’s a Better Way.” And that’s what the mayor did: He created a better way to solve a very human problem while at the same time helping beautify city surroundings. He offered those who wanted it employment cleaning up city streets at $9 an hour (more than the minimum wage), with lunch provided and night-time shelter if needed. Mr. Berry’s program is coming up to its first anniversary and has become a model for others to follow. This all brings to mind a similar incident from my youth, when I lived across the street from St. Nicholas of Tolentine parish in the Bronx. There was a homeless woman who wandered through the neighborhood with all of her earthly possessions in a shopping cart. To the locals, she was the “bag lady,” and in time, she became known as “Annie.” Annie was a tough sort, and she had to be, living on the streets. One day, she appeared at the front door of the rectory and Alfred E. Smith, O.S.A., appeared. (Not only did Father Smith have the same name of the famed governor of New York and the 1928 Democratic presidential candidate, he actually was his grandson and lookalike—and he sounded like him, too.) Father Smith did what others failed to do—he befriended Annie and took an interest in her. Father Smith, being a true “pastor of souls,” didn’t stand on ceremony and treated Annie like he did everyone else, with delicacy and goodwill. He treated her as a person, and she responded in kind. They were both great smokers; in addition to the cigarettes he gave her, he also gave her sandwiches and coffee, as well as prayers. For a time, the tough Annie became a softened Annie, but only up to a point: Her tongue could still lash out if her dignity was affronted. One time, when she was riled up and out of sorts, she decided to go to confession and unburden herself. And that she did—she raised such “holy hell” that Father Andrews chased her down the aisle and right out of the church! That was the talk of the neighborhood for days on end; but before long, Annie and her shopping cart was seen no more.